If you are holidaying in Sussex during September visiting the beach probably isn’t necessarily top of your list of things to do. But here at Happy Homes we’d suggest this is the perfect time of year for that beach visit, especially as Sussex holiday cottages are usually just a stones throw from a good beach! Autumn is a fantastic time to visit the beach. Not only are they much quieter than they are in the height of Summer, the light is perfect for you to capture some fantastic photography shots. If you’re in striking distance of Brighton from your holiday cottage then the now derelict West Pier makes for a stunning focal point for photographs. The starlings swoop and swirl around the Pier and you could end up with a fabulous photo you want to hang on your wall when you return home! We like to think we have a beach which suits everyone in Sussex, with the sea lapping both shingle and sandy beaches. If pebbles are your thing, then Ferring beach is a lovely quiet area and you can listen to the sea rushing over the pebbles, a very relaxing way to spend some quiet reflective time. It’s a great place to pick up an unusual pebble – check out Pinterest ‘Pebble Art’ for numerous suggestions to decorate your keepsake. If you’re looking for a quiet spot for a picnic then Climping beach is one of our personal favourites. Take a blanket, some delicious nibbles and a nice chilled bottle of something and enjoy the ambience of the beach whilst you tuck in. There’s something about the sound of the waves which soothes and calms the mind. If you’re not a ‘picnic on the beach’ type then do visit Worthing beach and save yourself cooking a meal in your holiday cottage – buy some traditional fish and chips and enjoy them on a bench watching the tide come in. Very British and very enjoyable for all the family! We don’t think you’re ever too old for sandcastles and if there isn’t a bucket and spade in your holiday home then buy some cheap ones and head to West Wittering beach. This beach is set in an Area of Outstanding Natural Beauty with stunning views of Chichester Harbour and the South Downs. It’s a beautifully sandy beach so use that bucket and spade to create a palace, a city or something completely different! 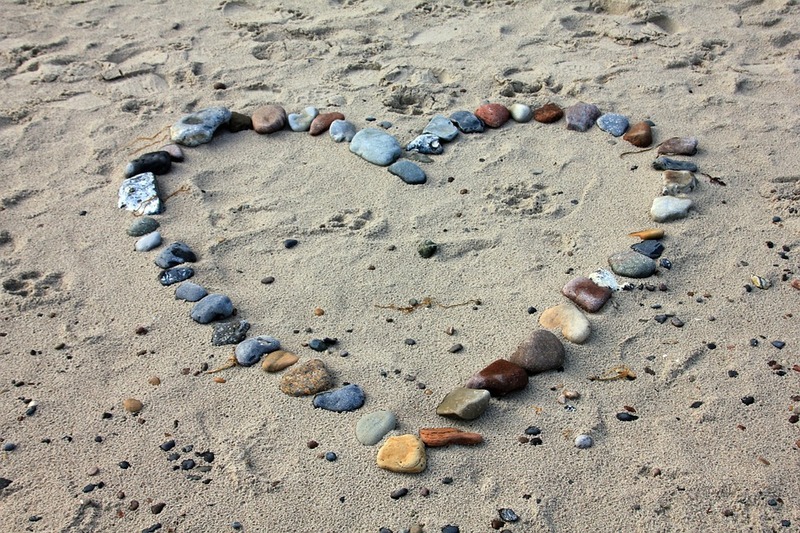 Write your names or quotes in the sand and take photos so you can use them as prints when you get home. There is a shingle beach at East Wittering so you could take a disposable BBQ and enjoy some Sussex sausages watching the sunset, or for those early birds among you, perhaps sausages while the sun rises! Watching the sun sparkle against the sea as it sets or rises is something we should all do at least once. If you’ve taken the pooch on holiday with you please don’t leave him or her in your holiday cottage whilst you hit the beach. The beaches at Shoreham and Littlehampton West as well as Goring beach are dog friendly. There’s nothing our furry friends like more than a run along the tideline and perhaps a swim in the sea with a salty shake off afterwards! For those of you into your fitness who like to keep up the exercise routine whilst away, the East beach at Bognor Regis has a promenade which is great for a good run (or a walk if you’re taking things easy on holiday!). The Council has also installed the “Flex on the Beach Fitness Trail” which is well worth a visit if you are looking for some free fitness activity whilst connecting with nature with the sound of the waves in the background. To keep up to date with all our latest news and ideas for your holiday property and your guests, please follow our Facebook page.